All mine workers in Queensland are required to refresh their GI competencies every 5 years. NEED TO DO THE FULL COURSE? This GI Refresher Course provides experienced workers with the opportunity to refresh their previously attained GI competencies in a reduced timeframe. GI is the new Generic Induction (GI) course for anyone working in Queensland in the coal mining industry. The units of competency within this course can be used towards completion of more advanced courses such as RII20213 Certificate II in Surface Extraction Operations or RII30713 Certificate III in Mine Emergency Response and Rescue if required. The GI program is the most universally accepted induction program in Australian mining. However, individuals and contractors should confirm induction requirements with the site they will be working on before attending an induction to ensure the process aligns with site processes and is recognised by site. The GI Refresher course that we offer is the industry-recognised Energy Skills Queensland (ESQ) GI Safety Induction Refresher. Each participant that is deemed competent will receive a Statement of Attainment from Pinnacle Safety and Training (RTO 40496) and the ESQ GI SkillPASS Card. RIIERR205D - Apply initial response first aid. RIIRIS201D - Conduct local risk control. 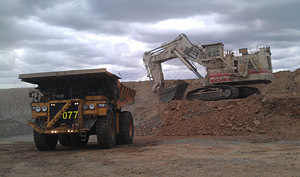 All mine workers in Queensland are required to have completed an initial GI or Standard 11 induction program. 1 July 2016 marks five years since this was legislated. It is also legislated that the competencies that form the GI/Standard 11 program are to be refreshed every five years. This refresher course allows competent participants to be re-issued the competencies required of the GI/Standard 11. Each participant that is deemed competent will receive a Statement of Attainment from Pinnacle Safety and Training and the ESQ GI SkillPASS Card.